Adding to rumors that Apple will soon enter the augmented reality market, a report on Monday claims the company is working on a pair of "digital glasses" that overlays images and other useful information onto a user's field of vision. Citing sources familiar with the matter, Bloomberg reports Apple is experimenting with a pair of digital glasses that connect wirelessly to an iPhone or other host system to function, akin to the company's Apple Watch wearable. Apple is reportedly exploring its options with the project and no decision has been made as to whether the company will ultimately commit to a glasses style device. However, today's report notes small batch orders of near-eye displays from at least one supplier, suggesting the secret project has advanced to the prototyping phase. It is not clear whether Apple's secret glasses solution will integrate augmented reality features or will simply act as a wearable heads-up display. True AR systems overlay interactive digital information onto the physical world, sometimes with the help of cameras, sensors, transparent displays and complex algorithms. An HUD, on the other hand, is largely a secondary display for a host device. If Apple opts to move forward with mass production, a digital glasses device could see release by 2018 at the earliest, the report said. That timeline meshes with predictions from KGI analyst Ming-Chi Kuo who earlier this month estimated an Apple-branded augmented reality solution to debut within one to two years. Kuo anticipates Apple to test the waters with an iPhone-based AR system before marketing a standalone product. Apple is known to be working on augmented reality solutions, though exactly what form that product will take is unclear. CEO Tim Cook first mentioned Apple's interest in AR during a quarterly investors conference call in July, confirming investments in the space. He has since reiterated the stance on multiple occasions. Apple owns a number of AR/VR patents, the most recent being an AR mapping system for iPhone granted last week. The company is also building out a team of specialists through strategic hires and segment acquisitions, including motion capture specialist Faceshift, machine learning and computer vision startup Perceptio, German AR firm Metaio and former Google collaborator Flyby Media. Bolstering those claims are a multitude of AR patents, the latest covering device localization technology assigned to Apple from recent acquisition Flyby Media. Well, Apple's method will work much better than Google Glass because they are not trying to stuff 4G, GPS, Accelerometer, Gyroscope, WiFi, BlueTooth, Camera and compute engine into the glasses. Apple already has an enhanced BlueTooth in the W1 chip used in their new Beats Solo3 headset with excellent battery life. All they need is this enhanced BlueTooth, a Camera and minimal compute engine. Everything else including the AR engine can remain on the iPhone or iPad. The camera was the part that was the biggest issue. More to the point, the ability to record video without anyone knowing, was the biggest issue. Merely having a camera onboard doesn't mean users will have the ability to record what they're seeing. The camera can be limited to act only as an input for a secure ISP that could process images in real time and then overlay information on the screen based results. This is how Apple would handle putting a camera on the device. 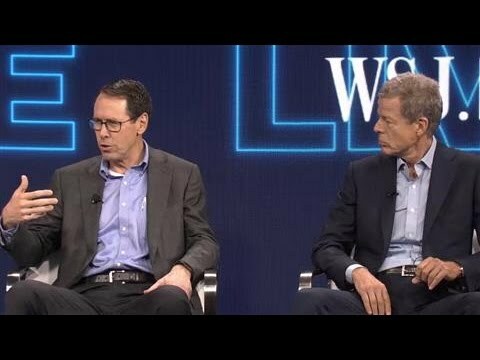 Well, I remember at&t CEO Randal Stephenson at the WSJ.D said that they plan to roll out 5G with Gigabit throughput in 2018 and that 5G is essential for Augmented Reality. Perhaps Apple is plans to use 5G for better access to it's AR database. Nah, nobody cares about that anymore. Any camera on any device can be used without anyone knowing. Folks saying Apple's AR/VR system will be better than Google Glass or Rift or whatever...of course it will be better, not because it's Apple but because it'll be two years from now. That's a lot of time for all of these companies to work on things. Google Daydream will have a two-year head-start by the time Apple's solution is out. Occulus and HTC even more. I wouldn't count on 5G bandwidth being widely available in two years, the rollout of 600MHz spectrum will just be getting pushed out then for carriers for those who choose to buy/use it just to increase coverage without new cell sites. I think a third party should form a coalition of developers supporting Google Daydream on iOS with standardized controls with MFi controllers. Trying to use a touchscreen on an iPhone in a Google Cardboard headset is really frustrating. That may satisfy iOS users until Apple gets it together with their v1.0 AR/VR product. I would love if this intentional leak was a red herring to send Samdung & co. off on a wild goose chase. There was a red light notifying others that recording was taking place on Google Glass. It wasn't "secretly recording without anyone knowing". That a similar piece of AR eyewear would now be embraced by the same community that demonized the former would indicate it was a largely a media/competitor imagined issue to begin with. I suspect there is very little Apple doesn't prototype. This story was incredibly thin and probably didn't even need to be written. Seems more like Mark Gurman wanting to remind people he gets scoops. Lol. Samsung needs to make explosion safety glasses for when their note 8 goes nuclear. I don't know that recording video is Apple's primary push here. They could have it so the device does not even allow this and continue their path to fight for user rights and privacy. The on board camera(s) could be better used to assist in augmenting information to enhance the users visual and audio experience. To me nobody has done that main stream. Need to have the right look (contact lens would be awesome) to pull this off mainstream. Augmenting information with overlays was the intent of Google Glass. Recording images was simply an additional feature, not the primary one. Can't imagine anything like this will be possible for another 4-5 years. Except Apple wouldn't design "a similar piece of AR eyewear" Google's fatal mistake was to make their device creepy and Terminator-like by first, making it monocular and asymmetrical, and second, making it utterly ugly, technoid and unfriendly. Only the left-brained geeks at Google could have come up with such a thing, as I've said here before — to virtually no understanding or agreement. I'm not complaining, just saying that nobody seems to get this crucial psychological point. Facial symmetry is one of our most deeply wired aesthetic standards, and it operates at an unconscious, visceral level. Except Apple wouldn't design "a similar piece of AR eyewear" Google's fatal mistake was to make their device creepy and Terminator-like by first, making it monocular and asymmetrical, and second, making it utterly ugly, technoid and unfriendly. I don't recall that as being a big complaint, and even there Google had addressed "style" by partnering with Luxottica (and talking with Warby Parker) on designer versions. The supposed big issue was the ability to photograph and record images, leading many here and elsewhere to refer to wearers as privacy-invading Glassholes and the devices appealing to sexual perverts and basement dwellers. You may have been one of them as a matter of fact. In hindsight was imaging/recording perhaps more FUD than actual problem? Personally I think so. Competitors aided by friendly bloggers may actually have been at the root of it, tempering both tech and consumer excitement with fear-mongering. Do you necessarily need a camera on the device for AR glasses to work if it is simply acting as an extension to an iPhone? An accelerometer, compass, and one or two displays with BT (5.0?) wireless connection to the iPhone might do it. Well, now that I think more about it, interactivity would require some sort of gesture sensing (to detect pointing or waving, etc). A camera could facilitate this, but maybe "low resolution" sensors such as a TOF sensor and perhaps eye-tracking could be used. If it were touted that the glasses sensors were not capable of extended range or quality visual images, that may help alleviate "spying" concerns. Of course you don't recall that as a big complaint. I said the revulsion worked at an unconscioous level. People voiced this revulsion by coming up with memes like "Glassholes" and by unconsciously displacing their hatred to something they could consciously describe, the imagined violation of privacy. I never complained about that aspect. I immediately recognized the design blunder of making the thing monocular because I've been a stereo photographer for years, which causes one to think natively about bilateral symmetry as a professional subject of interest. I agree that the hoopla over privacy was bogus, but I think it was due to the psychological reason I describe, displacement. I have also never had anyone agree with me on this, even though I've posted it here several times. I'm not wrong about it, it's just that it's too subtle for anyone here to grasp— so far.